Bespelled by Dani Kristoff is a new romance title from Escape Publishing, released February 1, 2014. We have a review coming soon! Mitch thinks he's seen it all--until Maddie strides into his bar in full wedding attire and downs three shots of whiskey. Though the gorgeous knockout seems tough as nails, he also senses her vulnerability. With a troubled past of his own, Mitch has no interest in ties of any kind--yet he can't help falling for Maddie. Now he's got to find a way to convince her to give love a second chance. 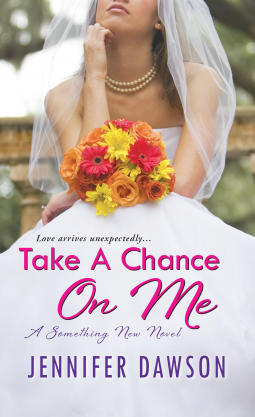 Take a Chance on Me by Jennifer Dawson is a new romance title from Zebra Books, released February 4, 2014. You can find our review of Take a Chance on Me by Jennifer Dawson here. 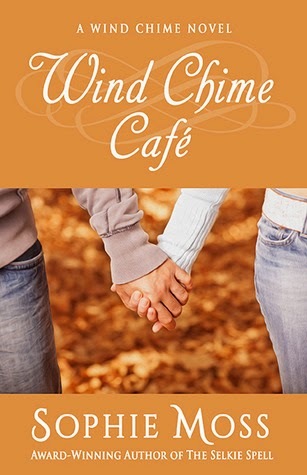 Wind Chime Café by Sophie Moss is a new romance title from Sea Rose Publishing, released February 3, 2014. You can find our review of Wind Chime Café by Sophie Moss here, as well as an excerpt and giveaway here. We've got two contemporary romances this week, because we couldn't resist sharing these two wonderful stories again.